CCTV continues to evolve and improve as user demand grows and technology becomes even more affordable for the general public. Today CCTV can be used anywhere in your home, workplace, or outside of your property, to keep yourself, your loved ones, and your property safe and secure. 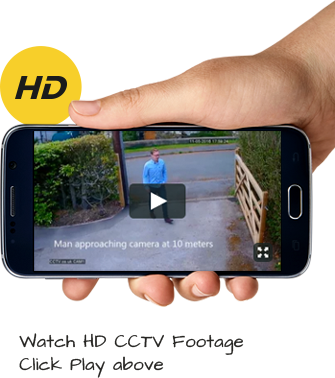 One huge advancement in CCTV technology is that today you can use a CCTV camera with inbuilt audio recording to give you added security and peace of mind, and all at an incredibly low price – and we install for you! FREE Quote: Call 0800 211 8310 today, and ask to speak to us about CCTV with Audio for your free quote. A CCTV system that has integrated audio recording allows you to record live sound alongside the captured live visual images. The audio input is integrated into the camera as a whole system, making it incredibly flexible, as the camera can be placed anywhere. Wherever the camera is placed, you will receive live sound recordings. So, instead of watching a video with no sound, you now have the ability to watch in real time and with sound. 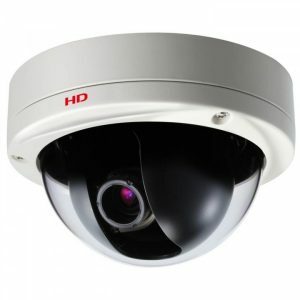 The huge benefit of this type of CCTV audio system is that you don’t need any additional cables or even an audio connector. This is because the video and audio signals are all connected via the one cable. This makes the system less messy and more importantly, less visible when you wish to use the CCTV camera to protect your property and those you love. Even though this type of system uses fewer cables, it is still important that it is installed by a professional CCTV installation company. A CCTV camera with audio capabilities has many uses and benefits for the homeowner. Many individuals choose to use this type of CCTV system when they suspect a loved one, such as an elderly relative, is being abused by someone coming into their home, such as a carer. The CCTV will record in real time, plus you will be able to hear everything that is said. This will help to strengthen your case if you decide to go to the police. CCTV with audio recording is also incredibly advantageous when dealing with neighbourly disputes. During this type of confrontation, it is helpful to hear what is being said, especially if racial or homophobic language is used, or if the language is verbally abusive or threatening in its nature. Having an audio recording alongside the video image can only help to strengthen your case. We are a CCTV installation company who are able to install CCTV cameras with audio recording capabilities. It is important that you have this type of surveillance equipment correctly installed to ensure that the camera and audio output is working correctly, and will clearly capture visuals and sound to a high quality. This is vital if you need to gather evidence regarding a neighbouring dispute or safeguarding issue. For more information about our professional and friendly CCTV with audio installation service, please call 0800 211 8310 today for a free quote.